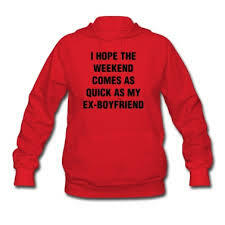 I hate my ex-boyfriend! | Life, oh life! We all have an ex or exes depending on how you attract and dump them or how they get attracted to you and you get dumped. I am not sure if it is something to be ashamed of or something to be applauded of..I would say it depends with the priorities at hand. That not withstanding, I am sure we have all had an exe or exes and there is that one ex who is the benchmark of ’em all. He or she is like the marking scheme of all the people (exes, one night stands, weekend stands, name it..) who have managed to be in your life. This is that one person who set the bar up there and something tells me not so many of us have managed to replace these benchmarks. My ex used to call me just the right time and we talked all about the right things but my new catch drains the charge outta my phone with his texts and its kinda annoying. My ex just had the right things to say and at the right time…With this new catch…..his vibe just doesnt tickle my fancy and to tell you I dont dread his texts I would be lying. Pretending to like one’s vibe is a real torture and being the nice me, text etiquette dictates you reply a text even when you dont feel like it. Now the problem is when this ‘textee’ does not read the signs and goes on and on and you cant outrightly tell them to stop. My ex was the perfect gentleman, well not quite but he knew how to read my body language..these other frogs i have been kissing in a bid to see if they’ll turn into a prince cant do that. My ex-boyfriend never used to have small talks, he would go straight to the point. Small talks sap the energy outta me and sometimes I just want to strangle a soul and tell them to go straight to the point! My ex never at one time tried to make me know that he is the man of the house…probably he should have but I gotta give it up for the few frogs I have kissed. They are all gentlemen, one was good enough to wipe my shoes once when I visited and him and it was all muddy et.al.. Read ready breakfast when i woke up and many other nice things :-)..Anyway, here is the sad part, all that awesomeness just went down the drain..we left each other, hahaha! Is there something like that?